As long as all of the rules of the road are being followed, there is no reason a pedestrian should ever be struck by a vehicle. Colorado street design does not allow for both motorists and pedestrians to have the right-of-way simultaneously, so the only reason they should ever cross paths is if someone is ignoring the rules. In these instances, drivers owe higher standards of care to all pedestrians due to the size and power of vehicles. If you were struck by a vehicle in Fort Collins, contact the best pedestrian accident attorney to fight for your rights. The actions you take following an accident can help strengthen your case if you know the right things to do. First and foremost, it is the law to call 911 and report a crash that causes any property damage or injuries. When they arrive, be sure to give them a complete breakdown of your side of the story. Secondly, seek immediate medical attention, even if you feel okay. 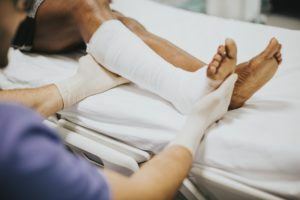 Head injuries, broken bones and lacerations are all very common in pedestrian accidents, so it’s important that you seek treatment and keep copies of all related medical records and documents. Lastly, contact a knowledgeable pedestrian accident lawyer in Fort Collins to help you review your rights and go over any claims you may have to financial compensation. What If Neither The Driver Nor The Pedestrian Are At Fault? While all parties should always be attentive to what’s going on around them, accidents are caused by poorly designed or unsafe intersections. In this case, the city is responsible for the upkeep of the roads and the safety of its users. Badly designed roads can dramatically enhance the risk of pedestrian accidents, making crossing unsafe. If this is the cause of your accident, you may have ground to sue the city for damages related to the accident. Contact a skilled Fort Collins pedestrian accident attorney today to find out what your rights are. Bringing a personal injury claim against the driver may result in complete compensation for all accident-related bills, lost income, attorney’s fees, pain and suffering, as well as other related damages. 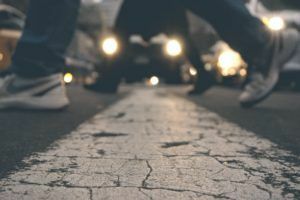 A top pedestrian accident attorney in Fort Collins can assist you with filing a claim or in negotiating a good settlement with the driver’s insurance company. Call Ring & Associates, P.C. at 970-632-2687 or contact us online to schedule a consultation at our Fort Collins, Colorado location. Ring & Associates, P.C. is located in Fort Collins, CO and serves clients in and around Loveland, Laporte, Berthoud, Fort Collins and Larimer County.